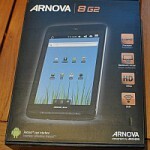 The Arnova 7 G2 tablet is an awaited upgrade of the long running Archos 7 HT (Home Tablet). 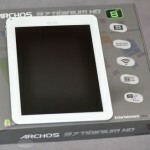 This new release brings a Rockchip RK2918 processor (single core) running at 1 GHz, Android 2.3 Gingerbread, capacitive screen and a front (web)camera. 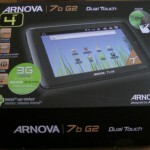 The Arnova 7 G2 should not be confused with the Arnova 7c G2, which support 3G, has a slower CPU (Qualcomm MSM7627), less memory (350 Mb) and a casing a little different. This short collection of pictures highlights the connections on the device: micro USB, power supply, and headphone connector on the right side, micro SDcard, tiny microphone hole and power switch on the top, kickstand and reset pinhole in the back, and camera on the front left of the device. 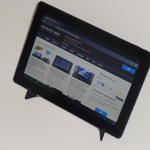 Please check back soon for the rest of this review, analyzing the device performance and applications. 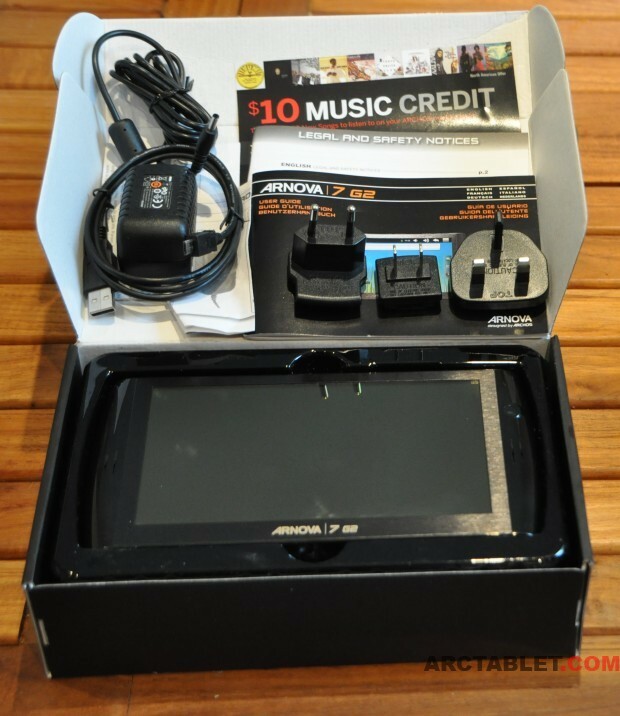 You can also refer the our Arnova 10 G2 review for further info on this 10 inches model very similar to the Arnova 7 G2. 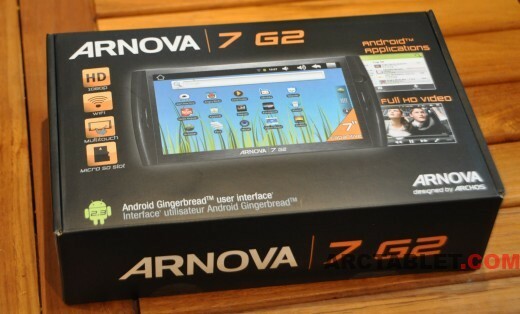 May I ask if there is an Arctool that can allow Arnova 7 G2 to run Android Market? 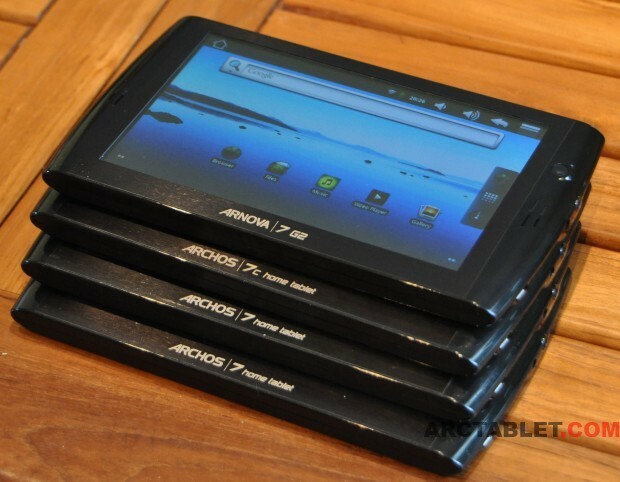 any news on a custom rom for the 7 g2?